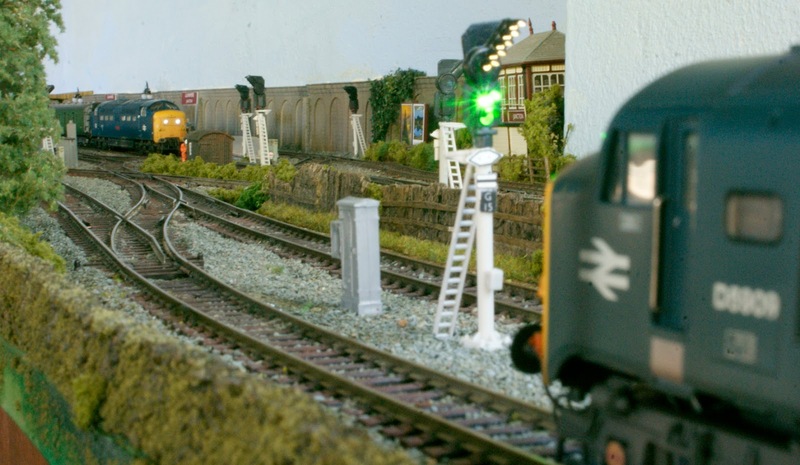 This weekend we finally managed to get all of the coloured light signals working at Gunnmere and the first locos to make use of them was Class 55, 55001 'St Paddy', and the Class 23, D5909. 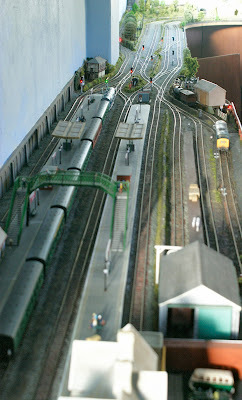 While the Deltic was at the head of a special train, heading north, the Baby Deltic was busily delivering wagons to the small goods yard. 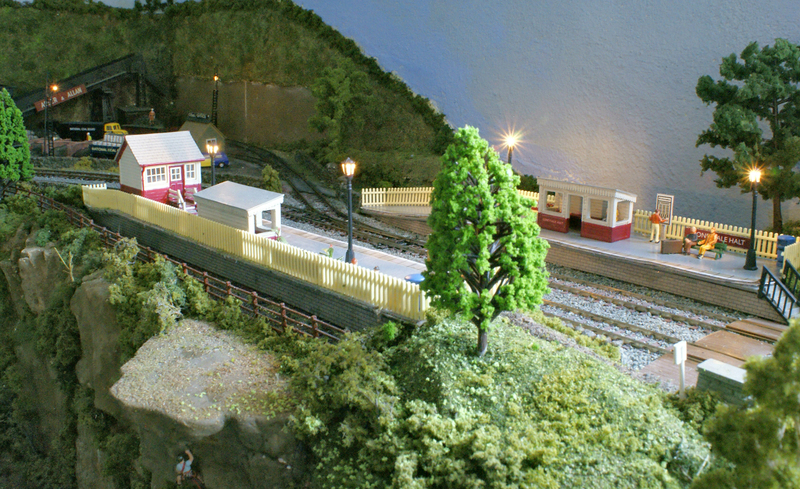 In a busy session this weekend, we also installed lights at one of our smaller stations, Coneyvale Halt, as can be seen in the bottom photograph. In the background can also be seen the lights of the small coal depot. 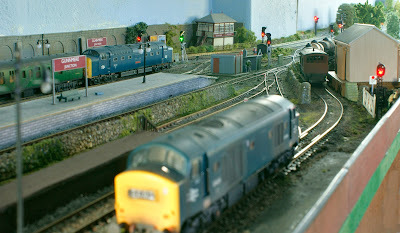 Next time it will be the turn of Davemoor to have its signals wired although, thankfully, these are nowhere near as complicated as those at Gunnmere!